Do you covet all things construction, with an interest in everything from planning and scheduling to construction contracts? 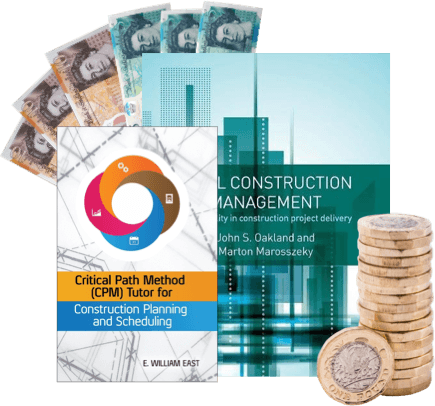 Do you have an abundance of used construction books, some of which you no longer need? Maybe you’re downsizing and need to have a clear out, or maybe you’re just so experienced in many aspects of construction that you no longer need some of your books. Whatever the reason, we hope we’ve caught your attention, because here at WeBuyBooks we love to buy used construction books and will offer good cash in exchange for our favourites. Keep reading to find out how you can make some extra cash for your unwanted books – the easy way! Sell used construction books for cash! We make the selling process easy and hassle-free, so you can get back to the building site as soon as possible. In just four simple steps, scan, value, send and get paid, your unwanted construction books will be shifted and your extra pennies on their way! And you won’t have to wait long for those pennies to arrive, seeing as we aim to pay you the day after we have checked your items. Speaking of checking your books… even if there are a few annotations and highlights in your used construction books, we will still be happy to exchange them for cash as long as they comply with our item condition guidelines. Don’t shun any books into the “unsellable” pile until you check our guidelines out! Sell used construction books on the go with our mobile app! The selling process can be made even speedier and more convenient by using our app. It transforms your phone’s camera into a clever scanning device, meaning you can get valuations for your used construction books whenever and wherever. So, even if you’ve got piles and piles of used construction books to sell, it won’t take you long to swap them for cash! Although it might sound too good to be true, we assure you our process is a solid bricks and mortar system, and this is reflected by our fantastic Trustpilot TrustScore of 8.9/10. This score is calculated from star ratings, plus amount and age of reviews, so you can be sure that it’s an accurate reflection of our service. Start exchanging used construction books for cash today! Head over to the selling basket and type in the Barcode or ISBN number of the items you want to sell. Get an instant valuation – we’ll give you a quote right away, hooray! Pack up your items and post them to us for free. We will send you a postage label. Sit back, relax and enjoy the extra cash! We’ll pay you the day after we have received and checked your items. 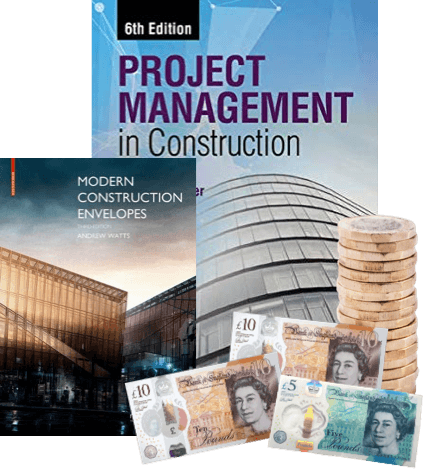 Send your Construction Books, DVDs, games and CDs to us and we’ll send you some money. Less clutter at home and more money – what’s not to love about that? So don’t wait – sell online today with We Buy Books. If you’d like some extra help, then please don’t hesitate to get in touch. Just give us a call on 01706 248281.